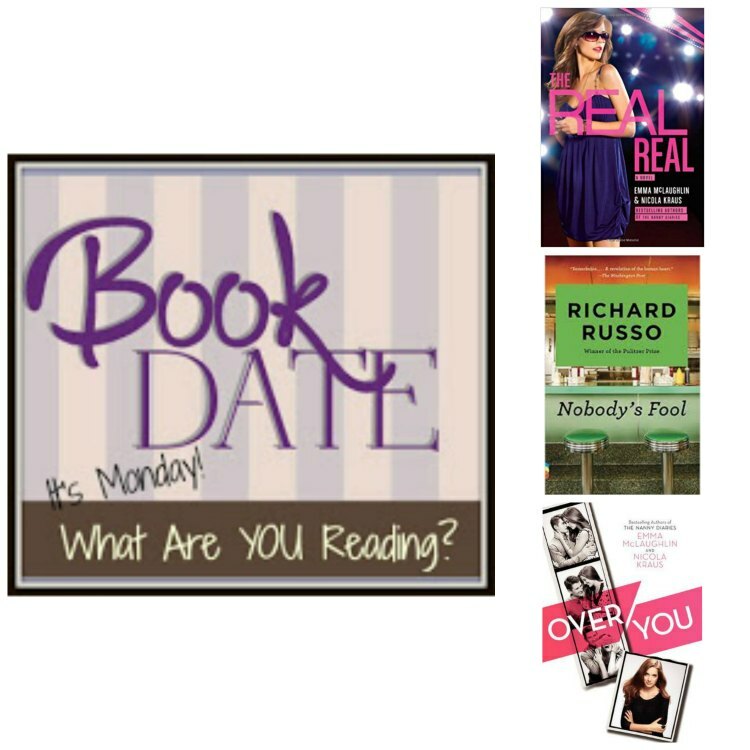 Each Monday, The Book Date asks what we’re reading… Please visit the Book Date site to link up your current list and hold yourself accountable. Also, you can visit some great blogs who are also doing this meme… It’s pretty awesome. There was a good mix of physical and difital books, and I am hoping to hit 50 this week–but chances are, I will be happy if I finish 6. Two of my books were done by the creators of the Nanny Diaries, Emma McLaughlin and Nicola Kraus. The middle book featured above is the Richard Russo I’ve been waiting to read for a while, and it’s from my library–double win! It’s Monday–what are YOU Reading?